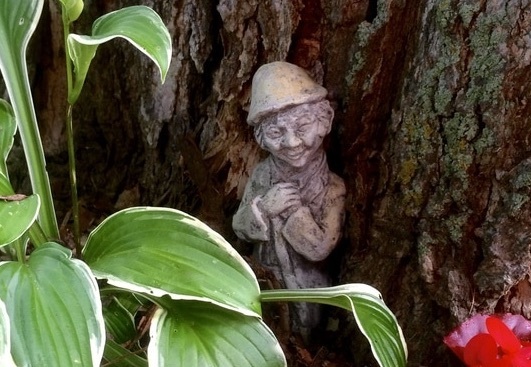 ​​Garden fairies come at dawn. Bless the flowers, then they're gone. 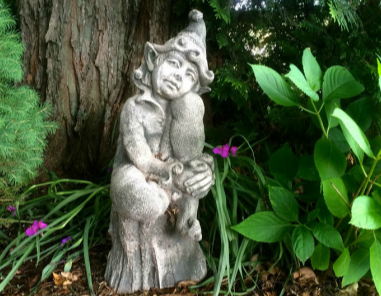 Pillywiggins are flower fairies found in English and Welsh folklore. Their duty is to protect Mother Nature and tend the spring blooms. 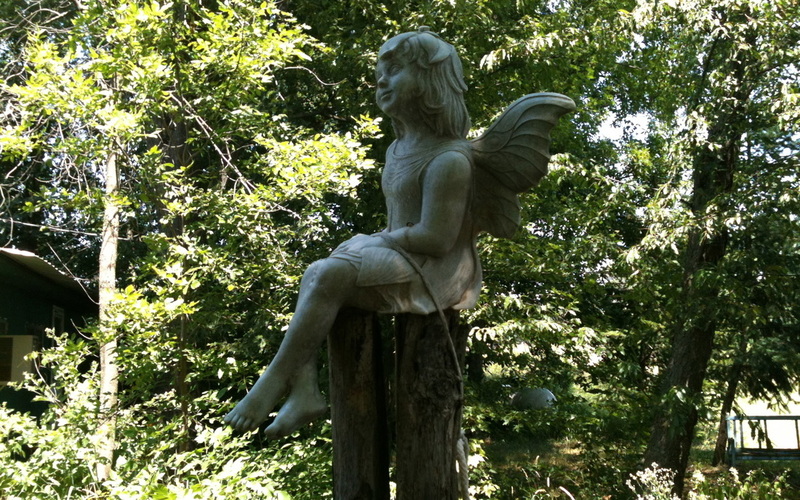 It's believed Pillywiggins are the fairy species most often seen by children and they are most likely the inspiration behind the Hans Christian Andersen fairy tale Thumbelina. Pillywiggins are beautiful creatures that resemble tiny humans. Because of their close relationship to insects some may also have wings and antenna. Encounters outside of the garden are rare but a lucky few may spot one riding on the back of a bumblebee during spring pollination. Although not often seen, Pillywiggins are frequently heard rustling about in the foliage happily attending to their work. Pillywiggins adorn themselves with colorful leaves and fragrant petals but their beautiful clothing is not meant for show. It's really a clever camouflage that allows them to go about their business unnoticed. Pillywiggins are known for their playful good nature and peaceful, fun-loving ways but should you hear the ringing of the bluebells... BEWARE! Pillywiggins are capable of inflicting painful bites & stings. Like insects, Pillywiggins will gather their troops to swarm against their attackers. They are quick, clever, resourceful creatures that are steadfast in their convictions and fearless in battle. A Pillywiggin's determination should never be underestimated and their wrath should never, ever be provoked! Like Thumbelina, Pillywiggins cradle their young inside tulip blossoms allowing them to care for their children as they tend to nature. Pillywiggins are trooping fairies that form small tight-knit communities each connected to a specific place or plant species. Pillywiggin troops travel about but also establish permanent homes in gardens, wildflower patches and at the foot of old oak trees. Those seeking quiet shelter prefer to dwell among poisonous plants such as nightshade, henbane and bittersweet. That being said, Pillywiggins may appear anywhere Mother Nature is in need of their assistance. 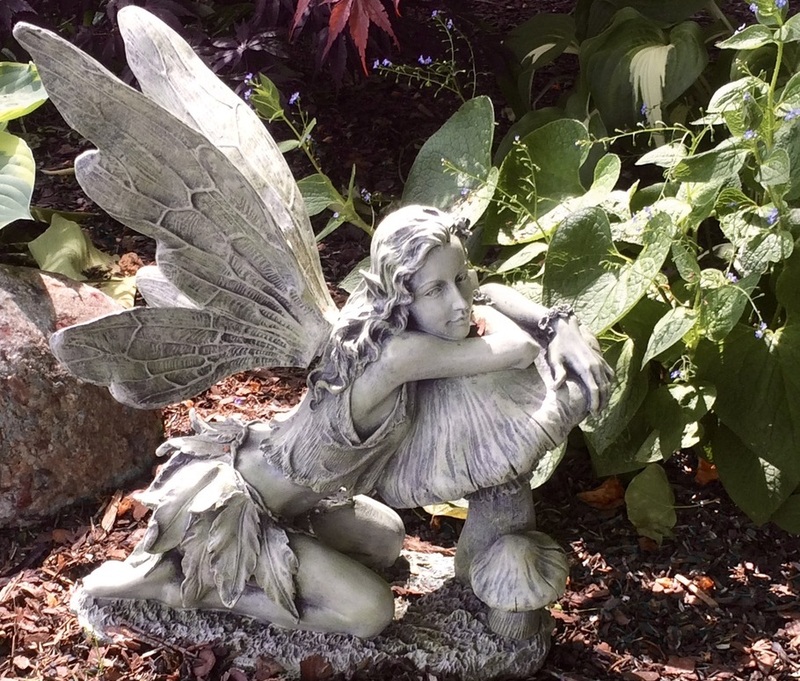 They may also be called upon to add enchantment to any garden! Pillywiggins are industrious workers that are far too busy assisting Mother Nature to engage in human shenanigans. Unlike other fairies species, Pillywiggins are never mean-spirited and rarely play pranks on humans. They much prefer good deeds and random acts of kindness over pranking. Pillywiggins are known for their gracious good manners. When Pillywiggins are invited into a garden they will always return the hospitality in blooms. It's always best to keep peace with the Pillywiggins and live in harmony with Mother Nature. To gain their favor, plant trees and flowers to attract birds, bees, butterflies and other wildlife. (You will attract Pillywiggins too!) Install bird baths, houses, feeders and bat houses. Then, be a good neighbor by admiring your wildlife from a distance. Avoid harmful lawn and garden chemicals. Use all-natural gardening practices and organic products. Stop the spread of invasive species. Choose native plants instead. Be more sustainable. Grow food not lawns. Compost, reuse and recycle. 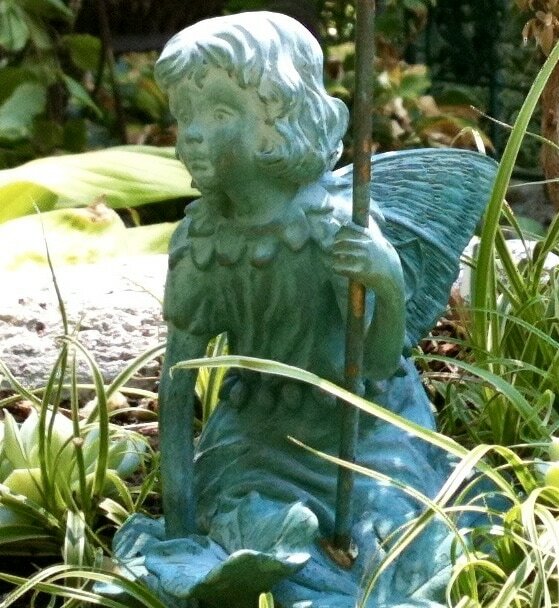 Plant kindness everywhere you go but leave a small patch of yard or garden to grow wild so the fairies have room to play. To learn more about our troop, connect with us online or visit our blog "Pillywiggin Postscripts"